Diamond Loan | Regal Capital Lenders, Inc.
At Regal Capital Lenders, we know diamonds! Our expert gemologists can see the true value of your valuables. Please call us now if you are interested in getting a jewlery loan for your diamonds or other fine jewelry.As a trusted lender, we have many years of experience in this field and will loan you high values on your large diamonds. Our loans come with some of the lowest interest rates in town. Bring in your diamonds and let our experts work out the best deal for you!We gained momentum in the diamond industry quickly, largely due to the nature of our expertise. Unlike typical pawn shops, Regal Capital Lenders employs trained gemologists who understand the true nature and value of your diamonds. This distinction allows our appraisers to accurately assess your precious pieces regardless of their age, point of origin or condition. We accept white diamonds and loose diamonds of any carat, clarity or cut, but we do not take black diamonds.If you choose to sell your diamonds, you can be assured that Regal Capital Lenders will offer you a fair and accurate market price. Whether you would like to loan or sell a diamond from a piece of jewelry from your collection, or even a diamond that is set into a piece of artwork, we will make an expert assessment and walk you through the entire process. Many people who are trying to sell diamonds are intimidated by the type of people with whom they have to deal. They are afraid that they will have to battle a fast-talking salesman who will try to scam them out of their precious gems for an unfair price. Or they might be worried that they will have to travel to an area that they don't really feel comfortable in, especially while carrying expensive diamonds and fine jewelry. Pawn shops are notorious for creating this kind of situation, but Regal Capital Lenders is completely unlike any other pawn shop. With Regal Capital Lenders, you have no need to fear that you will be manipulated or coerced. And with our convenient Buckhead location, you don't have to be concerned about traveling to an unsafe area with your valuable jewelry. Our clients can also feel safe knowing that we offer security for them and their valuables. 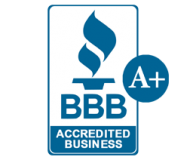 With more than 30 years of experience, we have built a reputation of honesty, trust, and respect with our clients. Every time you work with Regal Capital Lenders, you can be assured that you will receive an accurate assessment from our trained gemologists. That means we will not tell you your diamond is worthless when it is actually of high value, nor will we try to force you into a deal with which you are uncomfortable. We are professional diamond buyers, and we treat our customers in a professional manner – with the courtesy and respect they deserve. Bring your diamonds to Regal Capital Lenders today. Our process for selling or loaning your diamonds and other valuables is private and painless. Our mission is to offer you a higher price than any other diamond buyer is willing to even offer. Regal Capital Lenders provides Atlanta jewelry loans for a variety of reasons. This is very important for the person that needs cash right away. Here are some reasons to look into this kind of lending for your personal needs. You might have very bad credit and it could not be your fault. It you or a family member comes down with a catastrophic or serious illness it can completely drain your financial resources. This can ruin your credit and make it hard to borrow money. This is a good reason to visit a lender that does not care about your credit rating. Regal Capital Lenders provides Atlanta jewelry loans without any major hassles. When you credit rating does not matter there is very little to do. Your loan is completely secured by your possessions that you put up as collateral. The lender knows that if you do not pay, you lose the loan collateral. This reduces the risk to the lender so the loan is easier to obtain without an unacceptable level of monetary risk. Regal Capital Lenders provides Atlanta jewelry loans for all kinds of property improvements or repairs. Some kinds of home repairs cannot wait and must be seen to as soon as possible. This is especially true if you have severed plumbing leaks or stopped up drains in the home. You also may need emergency repairs to your roof. A fast cash secured loan can provide all the money you need for many home repairs. Your car may run fine but it could develop problems without notice. You may be driving to work one morning, and the car may suddenly stop on the freeway. When you depend on your car for your employment, you cannot afford to let it sit very long without fixing it. Automotive repairs can sometimes run into big money, and you may not have the cash. It is important to have a way to access emergency funds. You may live within your means and meeting your budget each month. However, if you forget to plan for a birthday or anniversary, you could be in need of immediate cash. There may be no other way to borrow money that you need, and a loan with your possessions as collateral is one of the easy ways to borrow for these occasions. A lot of people take advantage of payday borrowing for quick cash. However, you may not be able to qualify for this kind of lending. For example, if you are out of a job, you cannot qualify for a loan. Regal Capital Lenders provides Atlanta jewelry loans and they are not concerned whether you are gainfully employed or not. If you want a way to access fast cash without a lot of headaches and paperwork, Regal Capital lenders provides Atlanta jewelry loans in a short amount of time. It is a simple matter to come to the business and bring your loan collateral. After discussing your financial requirements, you could be going home with all the cash you need. The need for diamond loans is, unfortunately, a sign of the times across the U. S. And most other parts of the world. Rising inflation, unemployment rates and corporate downsizing have created a crisis that has not been seen since the days of the Great Depression. This has increased business for diamond Loan companies and pawn shops, as more and more people turn to alternate ways of making money and paying bills. This type of transaction is different than turning in your mother's wedding ring or that solid gold necklace you got from an old boyfriend or girlfriend. In a typical pawn shop, you must sell your jewellery or other valuables in exchange for cash. Often, the location of the shops are in unsafe areas, and the salespeople are not fully trained in assessing the true value of your items. The salespeople know that those who come into their shop are usually desperate for cash and will settle for any amount. While this is certainly not true of all pawn shops, that is the perception that many people have. That's part of the reason that diamond loan companies were created - to help those in need, not to intimidate or use unscrupulous sales tactics. With these companies, your diamonds and valuables are appraised by professional gemologists. They will give a fair and accurate price for the diamonds, so you don't have to worry about being told your diamond is worthless when it isn't. With a loan, you can be assured that you will get your valuables back once you've paid back the money you owe (plus interest.) All diamonds and other collateral is kept in a vault, safe and secure. The terms of the loan will vary of course, depending upon how much your collateral is worth, how much money you need, and how long you need it for. It doesn't matter whether you are a business owner, a pro-athlete, a celebrity, or just an everyday person. Everyone gets treated with the same respect and dignity they deserve. These professionals understand that at times, people from all walks of life need a little help. Diamonds are not the only thing that can be used as collateral. Cars, boats and even designer handbags can be appraised. You don't need to book an appointment to have a confidential meeting with one of the professional appraisers. Each meeting is conducted in a private office and the goal is to make sure that each person feels comfortable and secure. The buildings and shops are located in well-lit, safe areas of the city where crime rates do not soar above the national average. This is not a coincidence. They are meant to give a safe and secure atmosphere to those who walk through the doors. As soon as you enter, you will feel and see the difference from a traditional pawn shop. These loans are created with one thing in mind: to give you the instant cash needed so that you can have peace of mind. Whether it's needed for bills, rent, mortgage, car payment, or a graduation gift for your teenager, you can rest assured knowing you have the cash you need, and your valuables are safe and secure. Your valuables are photographed, insured, tagged and placed into bank vaults. There is great peace of mind knowing that all of your needs are taken care of, and that precious jewelry and valuables will eventually be returned, in pristine condition. Private information is never shared with anyone else and all transactions are confidential. These types of loans are very popular among those with bad credit, or those who cannot secure loans with banks or financial institutions. Credit scores and credit histories are of no concern to these companies, because diamonds and other valuables are used as collateral. In other words, if the loan is not paid back as per the agreed upon terms, the company has the right to keep or sell the valuables. Keep in mind, though, that they will work with you as much as possible to make sure this doesn't happen. If you own a home, experts recommend that you keep at least three months' worth of expenses in the bank at all times, in case of catastrophes like a broken furnace, plumbing issues or they myriad of other problems that can plague homeowners. This is very difficult for most people, however, and as such, they turn to companies that offer a diamond loan on demand in order to secure the cash they need, while still being able to keep their valuables safe and secure.